Ready to move? Click HERE to view area MAP! Apply online Right Now! Choose your apartment floor plan, location, and all the comforts of apartment living. aptshopper.com helps your apartment finding by easy-quick Bossier City and Shreveport, LA apartment listings. View amenities, compare rental rate pricing, see actual photos, tour apartments with video presentations, 360 - degree apartment floor plan tours helps you find the right home. Everything you need to help choose your next apartment rental home. Gorgeous apartment communities - see complete listings of all the apartment in the Shreveport, Bossier City and surrounding areas. About US gives easy guides of what we offer. Quick link access to each apartment community gets you to the right search quickly. See now! Aptshopper.com featuring the best Shreveport apartments and the top Bossier City apartments, this apartment finder service lists more north LA apartments with detail photography and property descriptions than any other Shreveport apartment locator or Bossier City apartments search site. Printing detailed apartment listings since 1985, our well know Apartment Shopper Guide is the # 1 place to find an apartment home. Search our exclusive listings for Shreveport, LA apartments for rent. Find professional video productions another way to see apartments and save time! Let aptshopper.com help you find your apartment home. Apartment Shoppers Guide is the most trusted rental resource for Shreveport apartments that connects apartment consumers to their ideal place to live in the Shreveport and Bossier City, LA area. Our detailed and carefully researched apartment rental data has unmatched search capabilities, providing important move-in requirement information and printable forms, in addition, apartment availability search system. Apartment Shoppers Guide and aptshopper.com provides the apartment shopper and individuals relocating to the area, simple and accurate apartment rental listings and search simplicity in minutes. Exclusive apartment listings easy to find the right apartment home for your individual needs. Leading the industry for assisting anyone for finding the best apartments in the Shreveport, Bossier City and West Monroe, LA area. Connect instantly with apartment managers wherever you are by viewing our mobile site. We offer the best apartment finding listings for multi-family housing in the area, why search anywhere else? Once you compare our apartment listings with incomplete listings found on line, you will find we are the top and truly the best source to find your home. Apartment Shoppers Guide and aptshoppers.com affiliate sites such as; shreveportapartments.net and bossierapartments.net, makes it easy for you to search for apartments fast, free and the only source with the finest detailed listings, printable floor plans, rental applications, apartment availability, property descriptions, videos, virtual tours, photo galleries, map finders, all in an icon hot linked easy to use chart form - all on line. Kile' Publishing, Inc. founded by Deborah Kiley on September 5th, 1985 soon publishing The Shreveport Bossier Apartment Shoppers Guide quarterly. Upon the inception in 1985, Kile' Publishing, Inc. has specialized in publishing apartment rental guides for the Shreveport and Bossier City, Louisiana areas and soon expanded to Texas in the Dallas-Forth Worth metropolitan area. By 1986 Kile Publishing, Inc. published three major publications; The Dallas-Fort Worth Apartment Rental Digest, The Dallas Housing Renters Guide and The Shreveport Bossier Apartment Shoppers Guide. WE PUT THE PIECES TOGETHER- Connecting the apartment shopper with apartment communities! The Shreveport - Bossier Apartment Shoppers Guide & www.aptshopper.com working together assisting apartment shoppers in finding the finest apartment rentals in Shreveport, Bossier City, and West Monroe, Louisiana. In mid 1991 The Dallas-Fort Worth Apartment Digest sells and Kile' expands to publishing commercial real esate publications. In 1992 Kile’ Publishing, Inc. expanded to the commercial real estate industry publishing several National publications such as; The Dallas Commercial Real Estate Magazine, The Fort-Worth Commercial Real Estate Magazine, The Houston Commercial Real Estate Magazine, The Chicago Commercial Real Estate Magazine, The Atlanta Commercial Real Estate Magazine, The Austin Real Estate Magazine, The Orange County Commercial Real Estate Magazine and The Builders Owners Managers Association's (BOMA) National TOBY Awards Magazine. Both The Dallas Housing Authority Renters Guide and The Shreveport Bossier Apartment Shoppers Guide continued its publications. In 2005 Commercial Magazines sell. With the large number of commercial magazines selling in 2005, Kile' Publishing, Inc., remained specializing in publishing the multi-residential (apartment guides) publications and on-line services; such as; The Shreveport Bossier Apartment Shoppers Guide, The Dallas Housing Authority Guides, www.aptshopper.com. In late 2005 Kile' Publishing, Inc. began offering Media Tours; which includes Video Tours, Virtual Tours, Apartment Community audio/voice Presentations, Gallery of Professional interior/exterior Photography of the communities, Printable Floor Plans via the Internet, Amenity Listings and Directions to the community with a professional map, voice over and Map Quest access for the apartment shoppers. www.aptshopper.com. December 8th, 1997 The Shreveport Bossier Apartment Shoppers Guide launched a new Web Site: www.aptshopper.com. This Web Site is an extension of the service already provided in each of its apartment rental publications; such as The Shreveport Bossier Apartment Shoppers Guide and Dallas Affordable Housing Guide. Kile' Publishing, Inc. remains specializing in multi-residential rental publications (Apartment Rental Guides) and continues to provide the already successful, free on-line apartment rental service www.aptshopper.com aiding the apartment shopper in finding apartment and rental homes. In 2002 a new on-line service was created. This www.rfpForms.com site provides an on-line free service to assist the commercial real estate and property management industry. This on-line service is referred to as a Request-for-Proposal program. This sophisticated system offers the commercial industry job proposal assistance by comparing industry bids on apples to apples concept in order to improve the efficiency and results for the commercial property management industry. Ultimately offering an excellent job bidding tool that has proven highly successful for all that is involved in the commercial real estate industry nationwide. Property managers, along with contractors, sub contractors and construction companies utilizes www.rfpForms.com to bid new construction, remodel projects, repair projects, maintenance jobs, products and services needed for the commercial industry (i.e. landscaping, flooring, roofing, electrical, plumbing, numerous categories) on a universal proposal/bidding comparison for all parties involved (apples to apples). www.rfpForms.com’s mission is to provide a nationally connected network for the commercial real estate industry with a no-cost, easy-to-use solution for performing the Request-for-Proposal process. This on-line service (www.rfpForms.com) enables property managers to save time, money and provide the avenue for receiving vendor proposals based on identical job comparisons and true to each unique job/project specification required, ultimately, avoiding misunderstandings, insuring accurate bidding, and spelled out job/project requirements and expectations. Each job category is completely spelled out and bided accordingly with a time line identified. www.rfpForms.com sold in 2006. MEDIA TOURS/VIRTUAL TOURS/VIDEO TOURS featured on www.aptshopper.com. In 2005 The Shreveport Bossier Apartment Shoppers Guide offers Apartment Renal Community Media Tours for apartment rental communities featured on www.aptshopper.com. These Apartment Rental Media Tours assist the apartment shopper in viewing individual apartment rental communities with several Virtual Tours, Video Tours, still photos, list of amenities, map, and directions to the community, floor plan images, and professional voice overs. If you are looking to have a professional video of your apartment community, contact us today! The Virtual Tours featured are of the interior models, interior clubhouses, exterior features such as; pools, fountains, hot tubs, sport courts, court yards and much more. In 2005 Printable Floor Plans are an additional feature on www.aptshopper.com. With this new feature the apartment shopper can view each apartment community’s individual apartment floor plans. These printable floor plans are actual renderings that can be viewed by the apartment shopper by just clicking on the VIEW (floor plan) button on an apartment community's individual Internet ad featured on www.aptshopper.com. In 2006 www.aptshopper.com now features "New Happenings". This listing gives apartment communities soon to break ground, apartment communities management changes, apartment communities renovations and new happenings, and the latest changes in the apartment market place. Late 2006, www.aptshopper.com joins affilate programs with various apartment industry establishments; such as; roommate services, rental/auto insurance, and many other services. Printable Rental Applications January 2007 www.aptshopper.com offers the apartment shopper and property management companies a valuable leasing feature. Now a rental application can be printed (downloaded) straight from www.aptshopper.com. This feature will aid in expediting the apartment move for the apartment rental leasing offices and the apartment tenant prospect. 2007 Apartment Job Listings Mid March 2007 www.aptshopper.com offers apartment job listings availablity related to the apartment industry; real estate property management industry. Currently job listings are based on management companies request to list employment opportunities, so if you would like this feature back up on our site, contact us and we will activate. May 2007, www.aptshopper.com offers the advertisers an extranet site to manage their Internet ad upgrade features such as; box ads, pdf document uploads and apartment job listings. Listings were successful in bringing applicants to the apartment management companies. These listings are only featured periodically. July 2008 Ruston, LA student housing now listed at www.aptshopper.com. 2010 Waco Texas Apartment Shoppers Guide premier issue was released. 2012 Kiosk division is created. Apartment community now can feature a kiosk in their leasing office featuring videos, floor plans and photo galleries of their apartment community. Both The Shreveport - Bossier Apartment Shoppers Guide and www.aptshopper.com offers the most comprehensive published Apartment Rental Guide and on-line resource for finding apartment rentals in Shreveport and Bossier City, Louisiana area. You will find comprehensive apartment rental listings of the most reputable apartment rental communities in the Shreveport and Bossier City, Louisiana area. View professional photography of each apartment rental community exhibiting fabulous interior and exterior views of your new apartment rental home. Several apartment rental floor plans are available to choose offering the right move for your family. Your best bet to find apartment rentals in Shreveport, LA. Shop for your new apartment rental today. Compare apartment rental rates, apartment availability, apartment rental floor plans, and apartment rental interior amenities. The most up-to-date apartment listing information available in Shreveport and Bossier City, Louisiana. Professional photography of interior apartment rental models, exterior apartment rental community photos show tennis courts, pools, and gorgeous exterior apartment community grounds, directions to the leasing offices, discounts, starting rates, and much more. View the Apartments-at-a Glance; a comprehensive listing of the most reputable apartment rental communities in Shreveport, Bossier City, Ruston and West Monroe, Louisiana. These are few reasons why www.aptshopper.com is the best place to find apartment rentals in Shreveport. www.aptshopper.com is 100% free for the apartment shopper. It is simple to view Shreveport and Bossier City, LA apartment rentals. Just click on an apartment name or use our search feature and find listings for apartments for rent. To see Shreveport apartments for rent, start searching www.aptshopper.com's Shreveport apartment rentals today! Still looking for apartments for rent? If you're looking to rent your Shreveport apartment, house, townhouse, duplex or condo, click on Request a Brochure. It is simple to shop apartment rentals on aptshopper.com. Search apartments by selecting the city. Select the apartment name and click. You are on your way to finding a new apartment home. Let us do the work for you. You will find the most reputable apartment community rentals in the Shreveport and Bossier City, LA area. Find apartment rentals in Shreveport and Bossier City now! www.aptshopper.com has the most comprehensive apartment rental listings available since 1985. Use aptshopper.com to find apartment rentals, or pick up the most current Shreveport-Bossier Apartment Shoppers Guide today! Did you know we feature our quarterly apartment guide on www.aptshopper.com? Visit the home page and view the Current Apartment Guide. Fabulous professional photography and the most up-to-date apartment rental listings in Shreveport and Bossier City, and Ruston, LA. In 2006 The Shreveport Bossier Apartment Shoppers Guide launched the first on-line version of the printed published Apartment Shoppers Guide Magazine. Each page is now published on-line and up-dated quarterly. Official release/launch date was January 1, 2006. Now the apartment shopper can pick up The Apartment Guide from local merchants, in addition to viewing the complete printed publication on-line . Each page of The Apartment Guide is featured with the availability to enlarge the page image. This is a great way to see additional apartment rental information that is updated quarterly in print. If you are too busy to pick up The Apartment Shoppers Guide from a local merchant, well NOW just with one click - view The Apartment Shoppers Guide - Click on: Current Apartment Guide. The Shreveport Bossier Apartment Shoppers Guide site up-dates daily and offers additional, unpublished listings, comprehensive apartment rental listings, large number of professional interior & exterior photos of the communities, truck rental and furniture rental companies. Shop for furniture rental, furniture sales, mini warehouse availability, or view the special section (help link on www.aptshopper.com) for newcomers to find school districts, information on local utility companies, cable TV hook up information, and much more. You will find a recommended, handy move-in check list that will be helpful for your next move. Whether you are relocating or just moving in the area, www.aptshopper.com will help with your next move. Visit the home page, click on the link; Apartment Find or visit the Apartments-at-a-Glance and select one or several apartment communities and compare pricing, floor plans, square footage, interior amenities, exterior sports features, locations, management companies, school districts, and much more with just a click of your finger. There are 101 reasons why aptshopper.com is the best place to find apartment rentals in Shreveport. Start shopping for your new apartment rental and find out why we offer the most comprehensive apartment rental listings and detailed apartment rental living information for apartments in Shreveport, Bossier City, Ruston and West Monroe, Louisiana. FREE search for Shreveport apartments and rental homes. Looking for apartments in Shreveport? www.aptshopper.com has apartments for rent! To see all of our Shreveport apartment rentals and Shreveport homes for rent, start searching aptshopper.com today. It's free! Now Ruston LA TECH student housing listings. Brand new Ruston, Louisiana apartments with roommate matching program. Top West Monroe, LA brand new apartments - Ashford Place Apartments in W. Monroe, Louisiana. For virtual tours, printable floorplans, printable rental applications and specials see www.aptshopper.com is your best bet for Shreveport apartment rentals! For advertising in The Shreveport Bossier Apartment Shoppers Guide and www.aptshopper.com please contact; 800-506-0095 (messages only), or 972-800-9831. Mailing address: Kile' Publishing, Inc., P. O. Box 6062, McKinney, TX 75071. Would you like to list an apartment rental for the Shreveport or Bossier City area? If you are a real estate owner and would like to list your apartment community contact us. We do all the work and will list your apartment community rentals within 24-hours. Photos are subject to production time needed. Why list anywhere else, when you can list your apartment community rentals free at www.aptshopper.com. Contact us for details to list your apartment rentals. Please call 800-506-0095 message center (questions and advertising reservations), customerservice@aptshopper.com. Please call 972-800-9831. Mailing address: Kile' Publishing, Inc., P. O. Box 6062, McKinney, TX 75071. Please DO NOT call 800-506-0095 for apartment finding. 800-506-0095 cannot answer calls for apartment finding. Please use www.aptshopper.com to assist you in finding your next apartment home, or pick up the latest issue of The Shreveport Bossier Apartment Shoppers Guide. If you still need help contact at our customer service link. Thank you for visiting www.aptshopper.com. WHERE CAN I PICK UP THE APARTMENT SHOPPERS GUIDE? The Shreveport Bossier Apartment Shoppers Guide can be found almost anywhere you look. We distribute our magazines to local grocery stores, convenient gas & food stores, major employers, motels & hotels, universities & colleges, and many other convenient locations in the Shreveport-Bossier area. Kroger, Albertsons, Brookshires, Country Market, Circle K Food Stores, Texaco Food/Gas Stores, EXXON Food/Gas Stores, Shell Food/Gas Stores, Drug stores, Hotels/motels, Apartment communities, Major employers, Human resources departments, Barksdale Air Force Base, Schools, Universities, Colleges, Hospitals, Chamber of Commerce, Tourist Bureaus, Restaurants, Real estate companies, Many other locations. I would like Apartment Guides delivered to us. For Apartment Guides to be delivered to major employers, human resource, employment offices, universities and colleges, trade schools, apartment communities, property management companies, relocation offices, real estate companies, military bases, hotels, apartments, retail or merchant stores, etc. Please contact us at: 972-800-9831. Thank you. How we work: www.aptshopper.com uses advance technology to enhance your apartment hunting experience and provide better opportunities to finding the right home. High speed pop up windows, up-to-date apartment listing information, listing of some of the finest apartment communities, owned and managed by some of the most reputable companies. Fast, easy apartment finding. Making apartment locating an easy task. Apartment Shoppers Guide. What we do? Free search for Shreveport apartments and homes for rent at www.aptshopper.com. You have several search options to find the latest available homes for rent, apartments, condos for rent, and townhouses in Shreveport. Shop www.aptshopper.com for all your apartment rental needs. Affordable APARTMENTS FOR RENT IN SHREVEPORT, LA. LOOKING FOR A Luxury APARTMENT TO lease? Largest selection of luxury, affordable apartments, apartment condos for rent and lease to purchase in Shreveport and Bossier City, LA. With specializing in the multi-residential apartment rental publications, Kile’ Publishing, Inc. carefully pays attention to each of its publications by careful organizational systems control, distribution monitoring and specifically targeted to newcomers and apartment shoppers locally and apartment rental shoppers relocating to the area. It is the goal of Kile' Publishing, Inc. to provide the utmost is service and quality for each customer and the apartment shopper. Several apartment rental comprehensive listings are provided in the Guides and on-line, such as; alphabetical apartment rental listings, geographic apartment rental listings, comprehensive apartment rental listings, and Apartments-at-a-Glance listings. All information is updated daily, weekly for www.aptshopper.com. Each Apartment Guide is published quarterly; every three months. The release dates are; January, April, July and October of each year. All professional photography is updated continually offering the most updated and current photos and detail information available in the area. For help in apartment rental locating visit www.aptshopper.com. Kile' Publishing, Inc. works diligently to bring results by increasing traffic for the apartment rental communities and aiding the apartment shopper in their search. Together with high circulation and targeted distribution that is monitored throughout the quarter, Kile’ Publishing, Inc. provides the utmost in quality and design for each of its apartment rental publications. Quality, caring, and results are of extreme importance. These apartment rental publications are now known as the number one source in the area to assist in relocation and finding apartments and rental homes for the apartment shoppers. Kile’ Publishing, Inc. is now celebrating 26 years of successfully publishing Apartment Guides in Louisiana and Texas. Louisiana Memberships: Kile' Publishing, Inc. has been an active member of The Shreveport Bossier Apartment Association for 25 years, in addition a member of The Greater Shreveport Chamber of Commerce and the Bossier Chamber of Commerce. Texas Memberships: The Dallas Apartment Association, The Central Dallas Association, the Dallas Building Owners and Managers Association (BOMA), Fort Worth BOMA, Suburban Chicago BOMA, Atlanta BOMA, Greater Los Angeles BOMA, Orange County BOMA. 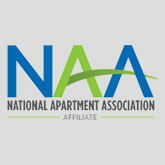 National Memberships: National Apartment Assoication, BOMA International. In 2005 Kile’ Publishing, Inc. was awarded the 2005 Small Business of the Year Award and the Publisher, Deborah Kiley in 2005 was nominated for the 2005 Small Business Person of the Year Award. Copyright © 1985-2015 The Shreveport Bossier Apartment Shoppers Guide. Copyright © 1985-2015 Kile' Publishing, Inc. Since September 5, 1985.
www.aptshopper.com offiical Web Site for the Apartment Shoppers Guide. Shreveport Bossier Apartment Shoppers Guide- published quarterly by Kile' Publishing, Inc. If you are looking to have a professional video of your apartment community, contact us today; Steveb@aptshopper.com . Copyright © 1985-2015 The Shreveport Bossier city Apartment Shoppers Guide. WANT TO LIST AN APARTMENT COMMUNITY? If you are a real estate owner/manager in the Shreveport or Bossier City area and would like to list your apartment community please contact us today. We do all the work and will list your apartment community rentals within 24-hours. Photos are subject to production time needed. Why list anywhere else, when you can list your apartment community rentals free at www.aptshopper.com. Kile' Publishing, Inc. has supported many fund raisers and organizations including Toys for Tots (in Louisiana and Texas), The Dare to Dream Foundation, Missing Children, SPCA, Brian’s House, Adopt a Block, The Children’s Advocacy Center, Vogel Alcove, Good Shepherd, Healing Hearts, Jonathon’s Place, EPA, The American Heart Association, Big Brothers and Big Sisters and New Beginnings.